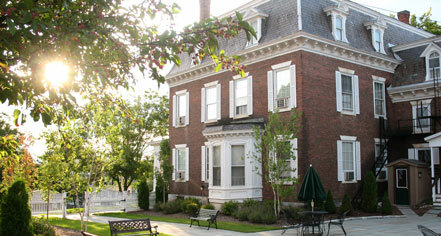 The Middlebury Inn is classy, tasteful, and welcoming. In addition to lovely rooms, the free coffee and tea each morning and afternoon tea time really complete the stay! A great spa is located right in the basement and the Inn has partnered with the local gym to offer fitness options off-site. I recommend this for any visit to Midd! Charming hotel in the center of Middlebury. The day pass to the local Fitness center was a "plus". I took a spinning class there. Very "Vermont" ! The location was convenient to walk to local shops. Breakfast at Rosie's. Thank you for taking the time to comment on your stay. You can't beat our location if you want to be able to walk to shops, museums, restaurants in Middlebury. Hope to see you again soon. I was only here for a couple of days but I had a wonderful time. I stayed in a room on the top floor with lovely views of the town. The room itself was spacious and had a claw foot tub. I spent a lot of time in the room studying and wifi was always perfect. I had a wonderful conversation with Rose (who makes an excellent manhattan!) at the tavern downstairs. The menu was a tad confusing but I loved the truffle fries; they were decadent and perfectly salty. I would absolutely stay at the Middlebury Inn again. We appreciate your kind comments and are pleased that you enjoyed your stay. I will also make sure to let Rose and our Chef know of your experience in Morgan's Tavern. Thank you for taking the time to comment and we hope to see you again soon. The main rooms in this hotel are very dated. For a more updated experience, stay in the outdoor rooms. This hotel has great potential as it is in an amazing location in Middlebury Vermont. It is nice to have a restaurant on the property but it is dated as well. Food and drinks were good. Thank you for choosing to stay with us and for sharing your feedback. We appreciate your feedback regarding the decor. We are constantly making upgrades to the guest's rooms. 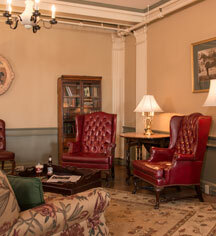 We do mix new d?cor with keeping authentic to a Historic 1827 Inn. Thank you for staying with us and for providing your honest feedback. We do have many different types of rooms at the Inn. We have more modern rooms in the annex as well as the more traditional rooms in the main inn. We also deluxe rooms in the Porter Mansion, We apologize for any confusion with the room types. We hope you will consider staying with us again.